With your highly mobile Motorola 2-Way Radios & Walkie Talkies, your business team will be on the move, selling, answering clients and making things happen. 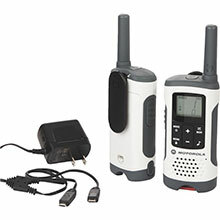 UnoClean carries a full line of walkie talkie accessories, microphones, chargers, clips and radio holsters. Protect your business communication equipment with accessories that also make your team more productive.